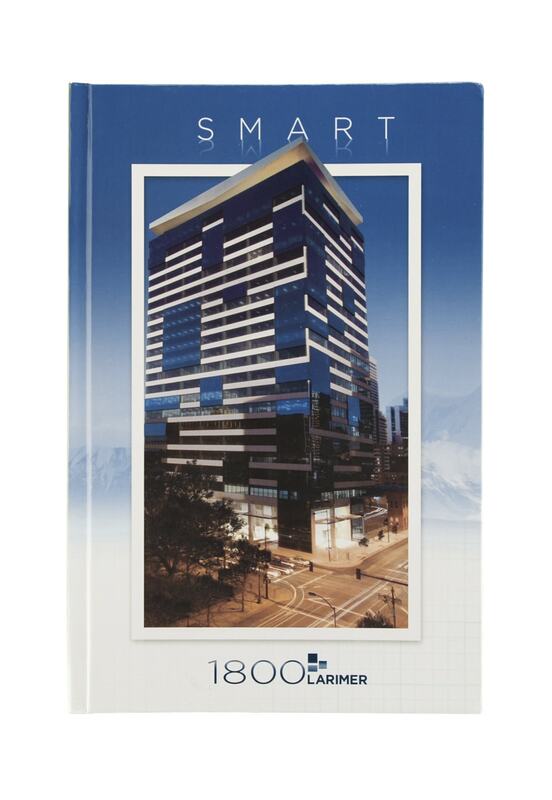 In the heart of Denver's downtown commercial district, 1800 Larimer brought a new level of innovation and sophistication to the commercial real estate market. Its builder, Westfield Company, positioned it as a truly Smart office complex complete with LEED Platinum design, innovative air flow and a unique energy consumption design. 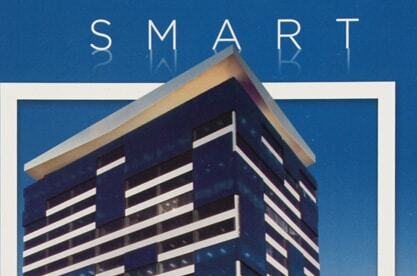 In designing the promotional material to support the marketing of the building, Westfield and its agency, Blue Onion, realized that generic printed mailers simply would not work for this campaign. To capture the essence of this innovative building, they needed a breakthrough technology. They found it with Americhip's patented 4.3" Video in Print Casebound Book. 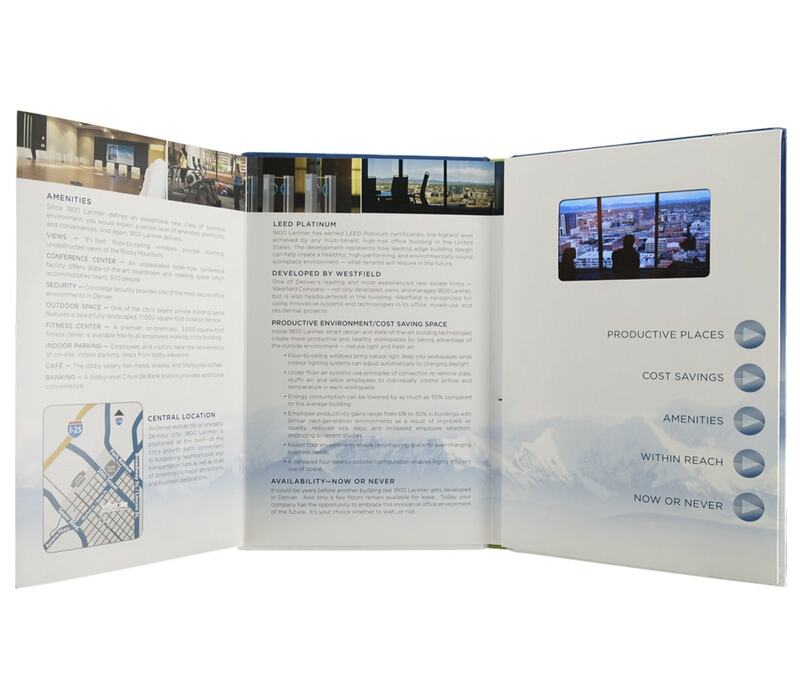 Using our five chapter button layout, Westfield was able to highlight key building features including concierge security, a high end fitness center and unobstructed views of the Rocky Mountains. 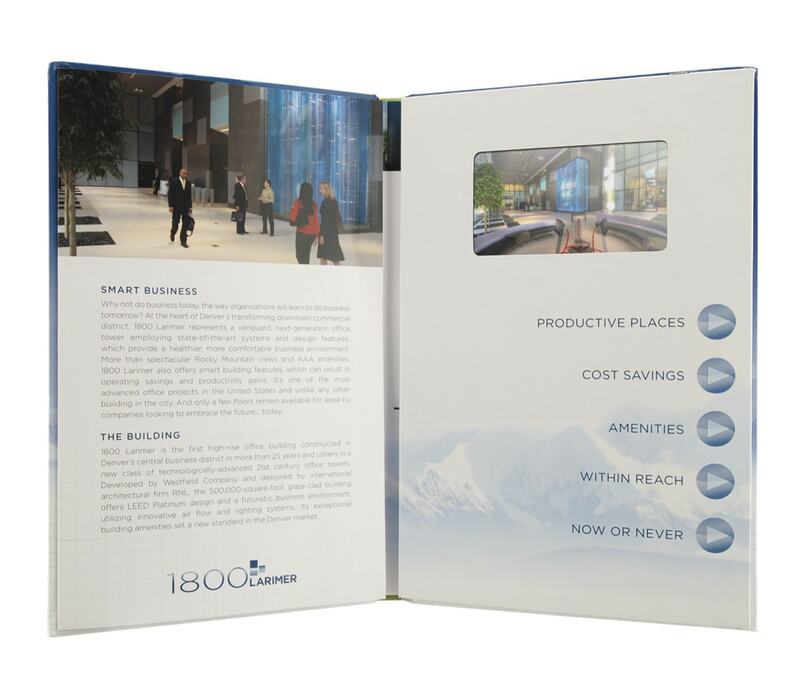 A fold-out panel complemented the videos with key facts about the building. Response from top businesses wanting to see this innovative space was outstanding and the building sold out in record time.